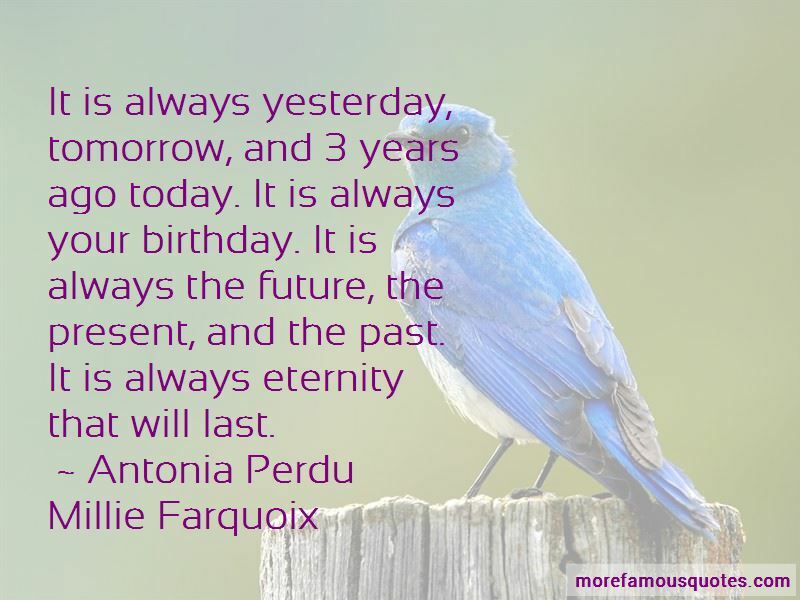 Enjoy the top 1 famous quotes, sayings and quotations by Antonia Perdu Millie Farquoix. It is always yesterday, tomorrow, and 3 years ago today. It is always your birthday. It is always the future, the present, and the past. It is always eternity that will last. Want to see more pictures of Antonia Perdu Millie Farquoix quotes? Click on image of Antonia Perdu Millie Farquoix quotes to view full size. “Do not turn your face from others with pride, nor walk arrogantly on earth. Verily the Almighty does not like those who are” — Anonymous.